The ideal small business website cost, or the dream website setup, is at the intersection of these factors. Quick setup, maximum returns, maximum design and technology for the lowest possible cost. In general, though, achieving this ideal cost for small business website is virtually impossible. High performance websites are generally the customized ones and customized websites includes technology that require licenses to be purchased. Websites also need to be maintained, software needs to be upgraded from time to time, licenses have to be renewed periodically, fresh content has to be created, SEO must be done as well as marketing. For an average, Small business website cost can range from $60 annually (maintenance only) to $30,000 for highly customized, high returns websites that are professionally designed and professionally maintained. Customization allows your small business website to provide best user experience. Without promoting your website it is difficult to drive online customer traffic to your small business website. Like with any business, marketing will take up a large proportion of your costs. 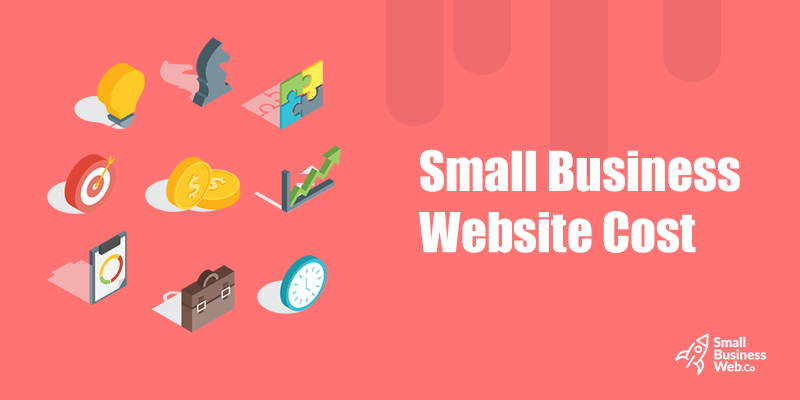 Given that there are so many components to set up and operate a small business website, you should be prepared to set aside some money from your business for this purpose . Does this mean that you cannot get a cost-effective website at all? No. It certainly does not mean that. No matter what the size of your budget is, you can get you a website. How much you spend on your website determines its performance levels. Here’s looking at the cost ranges for setting up and operating a website. You can get a website at any cost, starting from $0. There are many platforms that offer templates that you can use for creating your website. They also will host your website for you. Some basic additional features are also included that help you make your website look professional. You can make the website on your own with the drag and drop features in the website builder platforms. WordPress, Wix, Weebly are all examples of website builder platforms that help you set up a website for $0. Such basic websites are good for personal pages. They are even good for your small business website – provided you personally have the time and resources for promoting the website. Without promotions, it is difficult to get good results from your small business website. Advertisement free : Since the host company has to make money, your pages will feature advertisements that you cannot control. Unlimited bandwidth : This limits the extent to which you can expand your website and becomes a hindrance for retailing websites. Customized themes : You choose what is available and your website will look like the millions of others who are using the $0 package. What’s more, you have to spend time to first build your website. Following that, you would still need to spend money for content, SEO and marketing to keep your small business website up-to-date. You could save money and do all this yourself, but then who would run your core business? If you want your small business website to reach more online customers and generate more leads and conversions, it is best to hire professional website designers to design the website for you. When you hire a website design agency, they take care of every component from domain purchase to creating unique design to content creation to maintenance and marketing. It is a comprehensive package and you as business owner will have no hassles or worries. Basic features, limited customization, basic free CMS used, stock photography, limited content updates, limited SEO strategy, limited marketing strategy. Good for small businesses that are looking for only locality outreach and have very limited budget for their small business website. Good for small businesses that want to focus on driving online traffic to their website from more than just local area. Competitor research will be done, unique themes, design, more bandwidth for website, more possibilities for unique content creation (whether images, blogs, resource papers and so forth), more budget for paid marketing, more avenues for online marketing can be applied like contests on social media with prizes and giveaways. Good for small businesses that want to establish online presence quickly. Especially suitable for e-commerce small businesses, since the website must look and feel unique, large bandwidth for content, and have several interactive and functional features. How does web design agency help reduce average cost of small business website? Web design agencies provide professional website and web development services that save time and resources for your small business. Based on your budget, web design agency will create the best design, content and SEO package using a mix of free elements and paid, customizable elements that are best suited for your business needs. Website design companies have processes to comprehensively understand your business. They strategize not just for setting up the website but from a ROI perspective as well. Sure, you can set up your own website but expert small business website designers can make your small business website truly unique with features that make your customer’s user experience a memorable one. Setting up a website is just the beginning of your online journey. The website must be actively promoted, content must be actively created, and site must be optimized in order to gain good rank on search engine results. By providing these in a comprehensive package, web design company brings down overall cost compared to what you would have to pay individual experts to do. Remember, the cost of your small business website involves not just set up cost (which can be $0) but also content, SEO, marketing and update costs which are unavoidable if you want your small business website to provide desired returns.